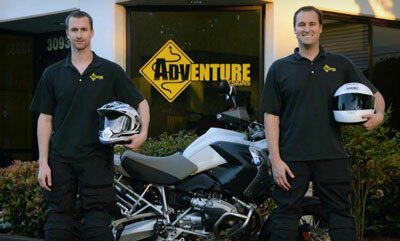 Adventure Designs is family owned and operated in Northern California by brothers who are passionate about adventure motorcycle riding. We started the business because we love to ride and design innovative parts. We want to earn your trust and help provide you with quality products that are built to perform and last. Everything we sell has been carefully tested and approved. If we don't use it, then we don't sell it. We painstaking test the many options on the market and only sell and recommend what we feel are the top one or two products in a category. Quality, function, durability, country of origin, and aesthetics are all carefully considered when we test and approve a product. Buy with confidence that when you purchase a quality product from Adventure Designs, it is going to perform and we and our partners will back it up. In addition, we are committed to supporting USA jobs. Whenever possible, we manufacture and purchase products that are made in the USA. Several of our products are proudly made locally in Northern California in and near our shop. Thank you for stopping by and we look forward to earning the privilege of being your trusted source for adventure motorcycle products. Our full line of products and accessories can be found on our website www.AdvDesigns.com and if you are ever in San Francisco Bay Area please come by our shop and say hello. 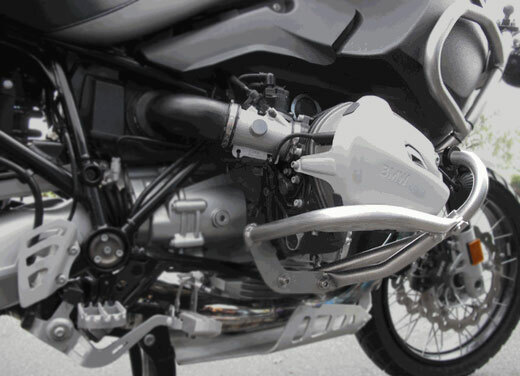 Protect your R1200GS or GSA where it is most vulnerable. Our USA MADE Stainless Steel Engine Guard Extensions bolt right onto your existing BMW engine guards and provide total protection for your vulnerable cylinder heads. In addition, our engine guard extensions are the only guard extensions on the market that match your stock guards and utilize heavy-duty stainless steel connection clamps. The Adventure Designs Engine Guard Extensions were designed to protect your bike investment from impacts both on and off-road. We and our valued customers have tested them rigorously all over the world. Whether a driveway drop, a off-road tip over or a slide out on cement, you will have the peace of mind that your R1200GS/A is protected. Nothing can be more frustrating than having a roadside emergency or attempting routine maintenance and realizing that you are missing the essential bike specific tools you need to get the job done. 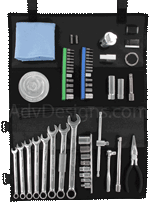 We have painstaking assembled the only USA MADE comprehensive and compact tool kits for most adventure motorcycle models including the BMW R1200GS/A, BMW F800/650GS Twin, BMW F650GS Single, KTM 990/950 and many others. Each kit includes innovative drive tools that are designed to provide the leverage required to remove the wheels and other high torque tasks. Don't get stuck without a toolkit or with a general purpose kit that is missing the essential tools you need for your unique bike. Our tools are manufactured by the last privately owned hand tool manufacturer in the USA. Each ratchet, socket and combo wrench is hot forged from US steel right here in the USA and includes a LIFETIME WARRANTY. Our tool kits have been tested and are in use all over the world. or call (510) 586-8447 for more information and a FREE Catalog.